I’ve thrown black light parties. I’ve even thrown a foam party which turned into a complete train wreck because I got too drunk and turned it into a slip and slide bowling alley with people as my pins. I’ve been to paint parties. Double Vision Tour (which is a hint for how drunk I get) will take all three of those ideas and combine them into one. It is going to be absolutely bonkers. 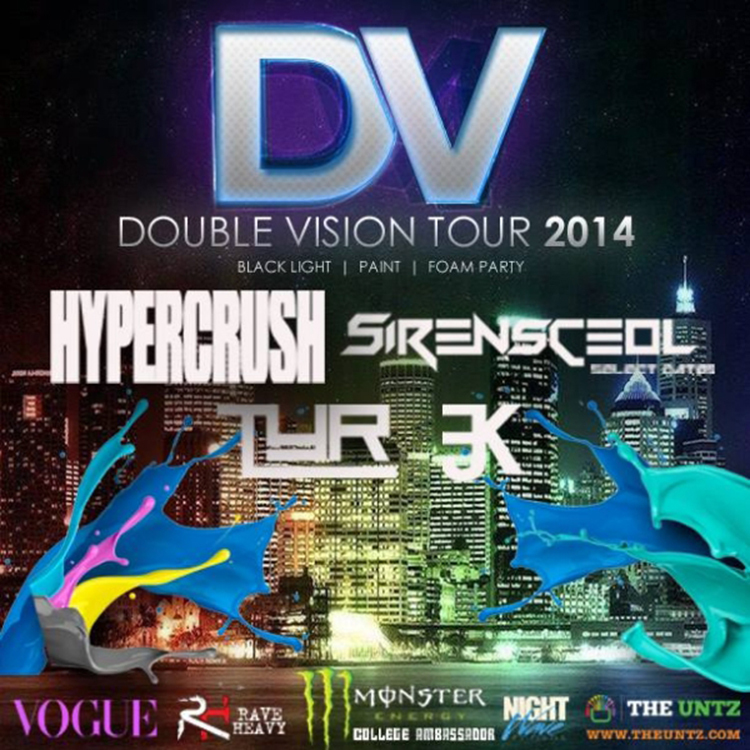 Double Vision Tour will be traveling around the country featuring performances from Hyper Crush, SirensCeol, Splitbreed, TYR, and our good friend, Jayefkay. This is a tour you don’t want to miss out upon, I can promise you that. Check out the tour dates below! You’ll find me personally at the Altar Bar in Pittsburgh on April 27th! 5/2 – Asheville, NC @ Lights Out!